"Eric Kunze, known to Music Circus audiences for his roles as Che, Jesus and Joseph (and a good-looking hunk who probably will play 30-somethings for three decades) is perfectly cast as the GI Chris. His impressive vocal chops never cease to amaze. The combination of dead-on pitch, powerfully resonant yet sweet tone, and surprisingly nuanced and natural acting confirm why he made it to Broadway so early in his career, and why the Music Circus should hire him every chance they get." Stafford Arima directs the large and talented cast with assurance. 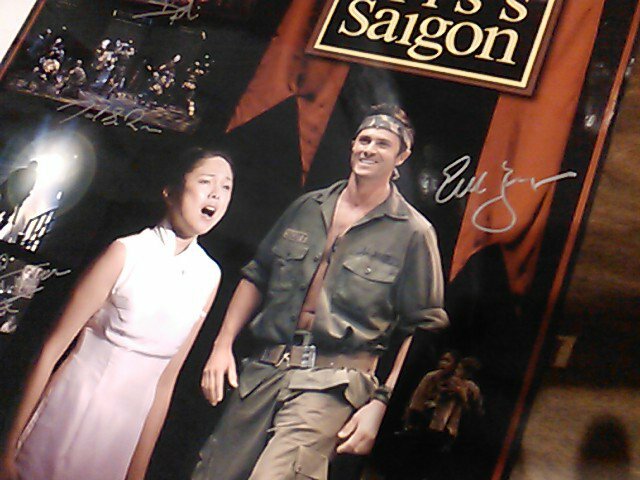 Kunze and Gray have performed their "Miss Saigon" roles on Broadway, and Dionisio has played her role in London and Canada. They are seasoned performers, but they bring energy and commitment to the roles as if they were new, not old, acquaintances...Kunze and Dionisio have several fine duets, best of which is the exquisite "Last Night of the "World." "Kunze has a versatile, powerful voice and is believable in the passionate “Why, God, Why?” and in his tender duet with Dionisio, “Sun and Moon.” He conveys strength and anguish in the first act and is convincingly defeated in confrontation with his wife near the end of the second." 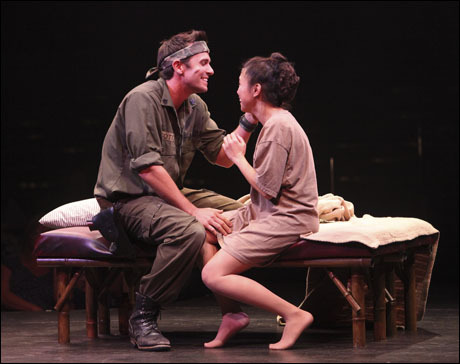 Miss Saigon opens tonight in Sacramento! 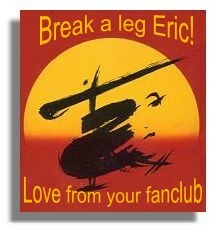 Toi, toi, toi to Eric and the cast, crew and orchestra of Miss Saigon at the California Music Circus as they open tonight! It is sure to be an awesome show, made even more special by the theater in the round. I saw Eric in "Evita" there a few years ago and it was unforgettable!